Income upto Rs 5,00,000 to be exempt from income tax. Individual taxpayers having taxable annual income up to Rs 5 lakhs will get full tax rebate (u/s 87A) and therefore will not be required to pay any income tax. So those with income up to Rs 5 lakh and another Rs 1.5 lakh in investments (u/s 80c) totaling Rs 6.5 lakh will have to pay no tax. This proposal may benefit nearly Rs 3 crore middle class income earners. I believe that if your taxable income is more than Rs 5 Lakh, this tax rebate is not applicable. So, there is no change/impact for the tax assessees who fall under 20% or 30% Tax Slab Rate. Kindly note that there is no change in Tax Slab Rates. Proposal to not to deduct TDS of up to Rs 40,000 on interest income from Bank / Post office deposits (the current FY 2018-19 TDS threshold limit u/s 194A is Rs 10,000). Currently, income tax on notional rent is payable if one has more than one self-occupied house. No tax on notional rent on Second Self-occupied house has been proposed. So, you can now hold 2 Self-occupied properties and don’t have to show the rental income from second SoP as notional rent. TDS threshold for home rent paid by non-individuals has been increased from Rs 1.8 lakh to Rs 2.4 lakh p.a. Let us say your net taxable income (after all deductions like Sec.80C and all) Rs.16,00,000. Rs.10,00,001 and above (in this case Rs.16,00,000)=Rs.1,80,000 @30%. So total tax will be Rs.12,500+Rs.1,00,000+Rs.1,80,000=Rs.2,92,500. Let us say your net taxable income (after all deductions like Sec.80C and all) Rs.8,00,000. Therefore, the total tax will be Rs.12,500+Rs.40,000=Rs.72,500. An individual who is resident Indian and whose total taxable income does not exceed Rs. 5,00,000 is entitled to claim rebate under section 87A of up to Rs.12,500 (w.e.f AY 2020-20). Govt Proposes to launch Pradhan Mantri Kisaan Samman Nidhi. Farmers with less than 2 hectare land will be given an income support of Rs 6,000 per year as direct transfer in three equal installments. Govt proposes to launch ‘Shram Yogi Mandhan’, a Pension scheme of the un-organized sector workers, with monthly income upto Rs 15,000. Under this new pension yojana, an assured monthly pension of Rs 3,000 from the age of 60 years will be provided on a monthly contribution of a small affordable amount during their working age. For instance, an unorganised sector worker joining pension yojana at the age of 29 years will have to contribute only Rs 100 per month till the age of 60 years. An equal contribution (Rs 100) to the Pension scheme will be made by the Govt as well. Kindly note that there are no changes in tax slabs between previous FY and the current FY. Yes, the link was pointing to a wrong image on click, have updated it. Thank you! I really love this blog and prefer reading personal finance content here only. 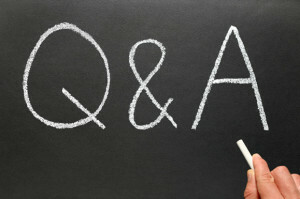 Anyone can learn about personal finance here and start investing with a little guidance. Cheers!! Excellent summery of Budget 2019-20. The budget provides for tax benefitsNil Income Tax for individuals with a taxable income of upto Rs 5 lakh. Thus, an individual with a taxable income of Rs 7 lakh would need to pay a tax of Rs 32,500 (excluding health & education cess). thanks Sreekanth for such a lucid presentation. now I have a question and it is a bit off-topic. if I pay my insurance premium in advance for next FY year may I claim tax deduction US/80 C this year? Your reply would be appreciated. thanks. Generally the deductions can be claimed during the year (FY) in which they have been paid. But, I believe that IRDA has stopped ‘advance premium payment facility beyond 30 days’. In case of single premium health insurance policies having cover of more than one year, it is proposed (Budget 2018-19) that the deduction shall be allowed on proportionate basis for the number of years for which health insurance cover is provided, subject to the specified monetary limit. Thank you sir, keep visiting ReLakhs.com! Thanks for providing your valuable information. Thank you dear Nand Kumar. Keep visiting ReLakhs.com! Thank you Sreekanth jee for clarifying the details. What about income from interest earned by senior citizens this year and the next year. Sir I think that efor Senior Citizens, the limit has been extended from Rs 10000 to Rs 50000 under 80TTB. And they are not eligible for the regular Rs 10000 u/s 80TTA. Section 80TTB is with effective from FY 2018-19 itself, this was proposed in Budget 2018. Hello, my income is 15.4 lpa, could you please send the each breakout for my taxplanning and how much can I save in tax in next financial year. There is no change in the tax means, do we need to pay 5% of tax for 5 lakhs? Please co firm. As your income is above Rs 15 Lakh, your net taxable income (after deductions) can be above Rs 5 Lakh, so you need to pay tax. The amount of tax that you can save depends on your tax saving options. For example : An individual who earns up to Rs 10 Lakh and claim major tax deductions like 80c+80D+SD+Sec24 etc can have NIL tax liability. As per my interpretation, the’ tax rebate on income of up to Rs 5 Lakh’ is not applicable if your taxable income crosses Rs 5 Lakh. For ex : If your income is say Rs 10 Lakh then there is no change in tax slab rate. The explanation is very clear and easy to understand. Thank you dear Madan.. Keep visiting ReLakhs.com! So many of us were in view that tax exempt upto 5 lakhs it respective of income more than 5 lakhs…. You are welcome dear Jilan! 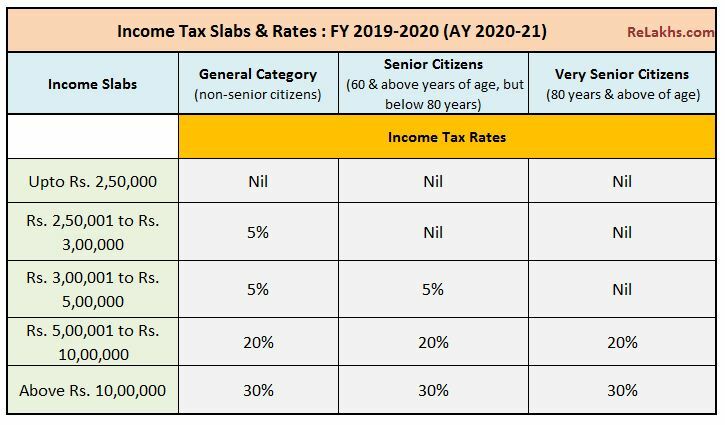 For the individual tax rates – can you please confirm if it is a tax slab rate change or is it that a rebate will be given only for people upto income of 5 lakhs? 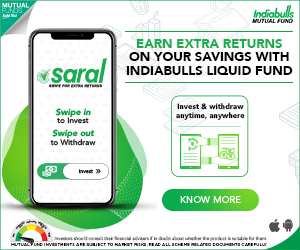 There have been few articles which state that this move only benefits those whose final taxable income is below 5 lakhs – if your final taxable income is more than that – then no such rebate is provided. I also have same question. The table listed gives different impression. As per my interpretation, the’ tax rebate on income of up to Rs 5 Lakh is not applicable if your taxable income crosses Rs 5 Lakh. I have updated the Table. Thank you!